Raising funds for the Singapore Table Tennis Association’s Youth Development Programmes, a golf tournament was staged on Friday 22nd September; the venue was the Sentosa Golf Club. The funds raised contribute towards the costs of the youth development programmes and excellence initiatives designed to both increase participation and promote high standards. Notably, Lim Swee Say, Minister of Manpower was the guest of honour for the dinner held later in the evening. 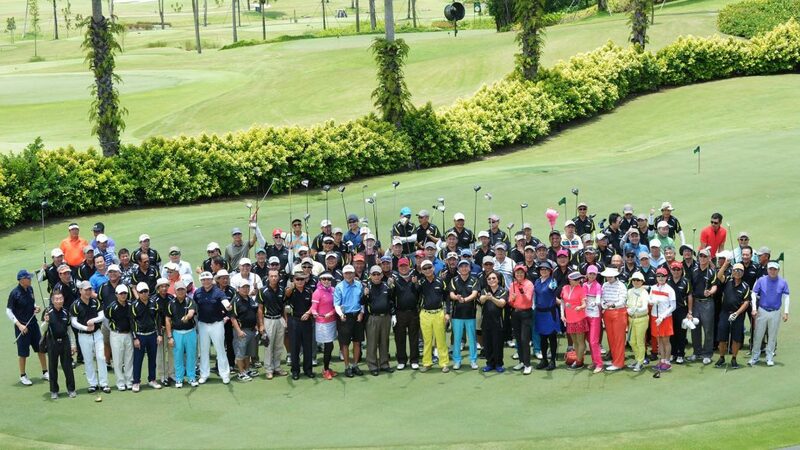 A most successful venture enjoyed by all, through the support of many private corporations and individuals, the day raised over $588,000 (Singapore Dollars); the largest amount at the biennial event. Ms Ellen Lee PBM, President of the Singapore Table Tennis Association, expressed her delight. “The Singapore Table Tennis Association is fully committed to realize our dreams in growing the sport and building the next generation of table tennis talents. All the donations from the fund raising golf tournament 2017 will provide invaluable resources for the Singapore Table Tennis Association to nurture our professional athletes, grow the youth development programmes and encourage more Singaporeans to take up table tennis. However, the Singapore Table Tennis Association still needs a lot more if we are to continue growing the sport of table tennis in Singapore. The Singapore Table Tennis Association will continue to seek meaningful partnerships with other companies in various industries to develop our sport.